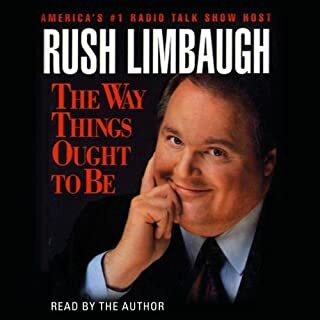 Tackling the hottest topics of the times from Feminazis to Environmentalist Wackos, Rush Limbaugh is at his satirical best - the provocative conservative and the showman who is "documented to be almost always right 97.9% of the time" about The Way Things Ought To Be. The second best political book I've ever read. The Democrats may be in the White House---but even President Clinton can't ruin this country in only four years, proclaims Rush. Conservatism's most outspoken champion, Rush leads the charge to embrace and defend the fundamental values that have shaped the American character---the same values that cause liberals to have conniptions. Ever the optimist, Rush sees the "pernicious liberal movement" as a philosophy whose inevitable demise will lead us back to the values that made America great. Nationally syndicated radio talk show host Rush Limbaugh has long wanted to make history come to life for the children of his listeners. In this book, he travels back in time with fearless history teacher Rush Revere. With the help of his faithful talking horse, Liberty, Rush experiences American history as it happens, having adventure after adventure with exceptional Americans such as Paul Revere and George Washington. Rush is transported back to the deck of the Mayflower as it makes its momentous voyage across the oceans to land at Plymouth Rock. Rush finds out quickly, though, that there's nothing so momentous about seasickness! Soon he is caught up in the early moments of our nation as the Pilgrims struggle to make a home for themselves in this new world. He continues to travel back and forth in time to better illuminate for his students the real-life aspects of this historic times. Ending with the first Thanksgiving, this book captures the bravery of the first settlers. Rush Revere and the Brave Pilgrims, is a wonderful way of sharing the history of the pilgrims and the struggle that they went through. Rush Revere show a group of student what hardships the Pilgrims had to deal with on their quest of religious freedom; ending with the story of the first Thanksgiving. This is a great way for children of all ages to learn just what the pilgrims had to live with. 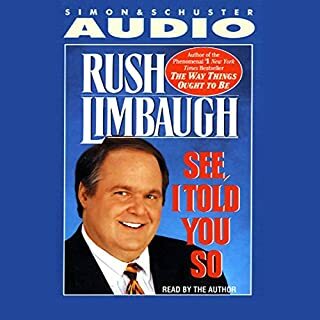 Rush Limbaugh does a great job in the narration of his book. 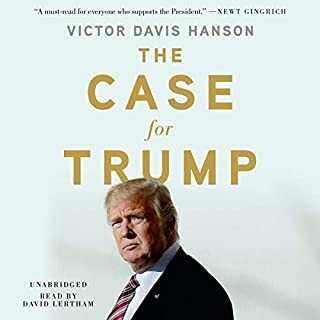 This is a book that you will want to listen to over and over again. 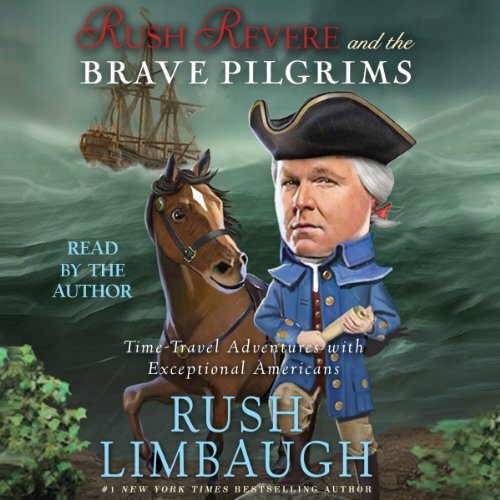 Where does Rush Revere and the Brave Pilgrims rank among all the audiobooks you’ve listened to so far? It's top notch. A kid's book that's like a good ride through unknown and intriguing territory. Really two stories: one the real-life history of the Pilgrims exodus to America and the school kids fantasy of a time traveling teacher and horse. What was one of the most memorable moments of Rush Revere and the Brave Pilgrims? The contrast between the near starvation of the Pilgrims on arrival in America and the cornucopia of a 50s drive-in. His seriousness, respect and humor underscore the story at appropriate times. If you could sum up Rush Revere and the Brave Pilgrims in three words, what would they be? Have you listened to any of Rush Limbaugh’s other performances before? How does this one compare? Mr. Limbaugh tells a good story in a fun way so that you don't even realize that you're learning history. I enjoyed it and so did my kids aged 6-16. I look forward to the next one. 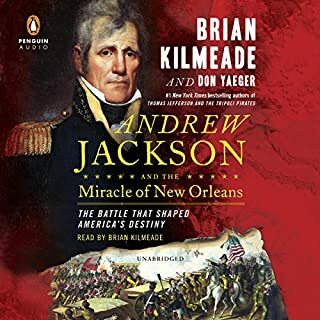 The strong point of this book is that it is a lesson in American history that gives a viewpoint that is not taught to our children any more. The Plymouth Colony first tried a socialistic work arrangement but had to resort to a reward system to motivate the people to do the necessary work. In these dark times when we are witnessing the European Socialist states implode under the weight of their unsustainable welfare yet still see the progressive creep toward the same failed system here on our shores. As a work of fiction, this short book is clearly a piece is targeting young skulls full of mush. But as a history lesson it is very accessible for kids and it presents a message I want my kids to know. Rush Limbaugh, well-known for his flowing speech when speaking unscripted off the cuff, here gives a strangely stilted reading of his own words. But there is a certain appeal to having the text read by the author. 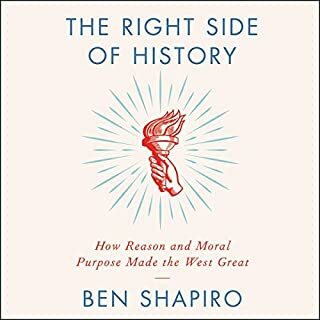 This audiobook is very educational and very pleasant to listen to. And I try to listen to the rado with Rush whenever I can. Would you listen to Rush Revere and the Brave Pilgrims again? Why? No, but my 6 year old daughter will be. I don't know if there was one memorable moment. The story is mostly about all the obstacles the Puritans and their companions had to overcome to establish their new colony. Rush's voice is his voice. He has a great expressive way of speaking, BUT this story would have benefited from a professional narrator. Every character sounds the same, and Rush reading the lines of the two teenage characters struck me as rather ridiculous, like an old guy trying to sound cool. Rush is an unashamedly proud American. He is proud of our country's founding and sees the events of history as the building blocks for the greatest nation on earth. 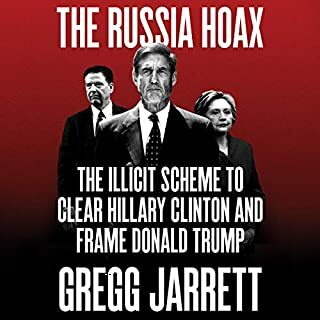 This book is propaganda to that effect. I wanted to listen to it first before giving it to my daughter to make sure it wasn't too over the top. I didn't find any of it offensive or deliberately falsified to make his point. The one place I rolled my eyes was at the building of the Plymouth Rock Colony, William Bradford want the colony to be a commune, and Rush Revere questions him about whether that would work. Repeatedly they talk about whether people will work if they all share the fruits. Although I agree with capitalism, I didn't really like putting such thoughts and words in the Puritan Bradford's mouth. They chose a commune for religious reasons, and after stressing his faith so much in the book, I found it odd to then have him doubt what his faith had led him to do. Overall, this is a fun little book which teaches the main events, ideas, and even dates of the first New England colony, which was vital for the foundation of our nation. I may update the review after my daughter listens. What did you love best about Rush Revere and the Brave Pilgrims? True to the facts of history. Luved this book even though I do not have children! Well done. What made the experience of listening to Rush Revere and the Brave Pilgrims the most enjoyable? This is a great book for teaching American History and capitalism's principles. It is made even more enjoyable because it includes Rush, a man we know, and is read by him. Obviously, this would be the one man who would read it according to the way the author was thinking when he wrote it. In a couple of sections, there were certain questions asked of one of the characters about what he had learned, and with each one, the answer was clear in my mind before the response. Loved the narrator! Great for adults and kids! I'd recommend it to anyone. I can't wait to hear the next one!